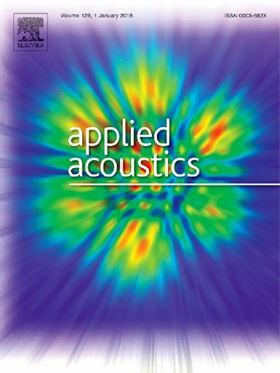 The research article 'Noise source identification and transmission path optimisation for noise reduction of an axial piston pump' has been published in Elsevier journal Applied Acoustics. Reduction of the radiated noise of an axial piston pump by modifying the piston pump shell structure has previously been achieved. However, the main noise sources and transmission paths have scarcely been investigated. In this study, the flexible multi-body dynamic (FMBD) model of an axial piston pump was established, and the main noise source and transmission path were determined. Then, a set of programs to improve the sound quality of the piston pump was developed. Firstly, the finite element analysis method was adopted to numerically analyse the natural modes of the shell, which was verified by an experimental modal analysis using the multiple input and single output technology. Then, AMEsim and Virtual.lab were used to establish the FMBD model of the axial piston pump considering the bearing dynamics and fluid dynamics. The simulated vibration acceleration level from the shell surface was consistent with the experimental test. The finite element method (FEM) and Automatically Matched Layer (AML) technique were employed to acquire the radiated noise from the shell surface in the frequency range of interest, and the noise transmission path was analysed. From the results, it was determined that the excitation force of the swash plate to the cover Y direction is the main noise source. Finally, the main noise transmission path was optimised, and the optimised piston pump radiated noise is reduced by 1.26 dB(A) of the main noise frequency. This research can provide theoretical guidance for engineers to design low noise piston pumps. The research article 'Gear pump for low power output ORC – an efficiency analysis' has been published in Elsevier journal Energy Procedia. The article 'Study of Moineau-based pumps for the volumetric extrusion of pellets' has been published in Elsevier journal Additive Manufacturing. Research paper 'Nanobubbles: Generation using a multiphase pump, properties and features in flotation' published in Elsevier journal Minerals Engineering.